Senior BJP leader and former Rajya Sabha member Ramdas Agarwal is no more. He died at the age of 80 after prolonged illness on January 26. He is survived by wife and three sons. He was a three-time Rajya Sabha MP. He held posts of national vice-president and national treasurer of the party two times. 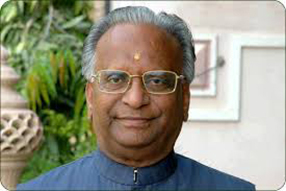 Shri Agarwal was also the Rajasthan BJP president for several years. Condoling his death, Prime Minister Narendra Modi tweeted: Demise of Shri Ramdas Agarwal is saddening. His contribution towards building the BJP in Rajasthan will be remembered. RIP. BJP National President Shri Amit Shah tweeted on the leader`s death: Deeply saddened to hear the passing of senior BJP leader and former Rajasthan state BJP President Shri Ramdas Agarwal ji. He added, Ramdas ji played a vital role in strengthening the BJP in Rajasthan. My deepest condolences to his family and friends. Rajasthan Chief Minister Vasundhara Raje, BJP State President Shri Ashok Parnami also condoled the death of Ramdas Agrawal. Smt. Raje in his condolence message said “Agrawal played important role in the development of the state as an MP. His role was crucial also in strengthening the party.” He said Agrawal’s contribution in politics and society would always be remembered. Condoling Agrawal`s death Shri Parnami said the former Rajya Sabha MP had raised several important issues pertaining to the state in parliament.